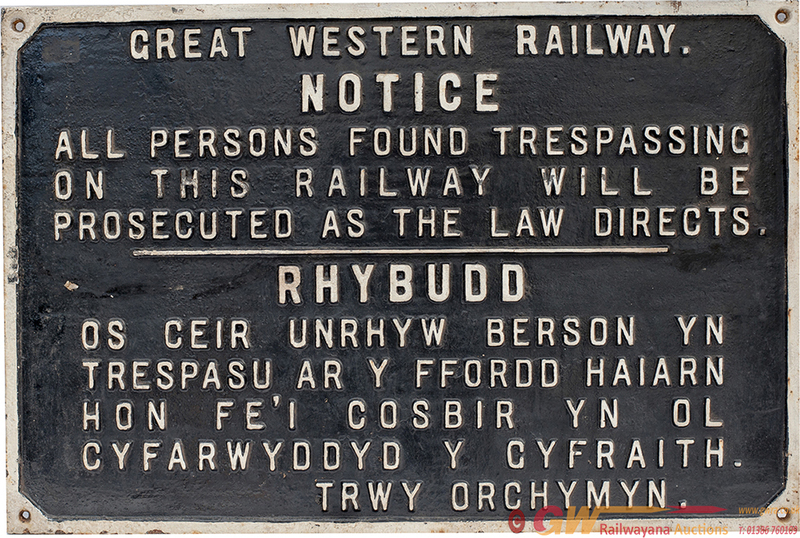 GWR Cast Iron Dual Language TRESPASS Sign. GWR cast iron dual language TRESPASS sign. Measures 27in x 18in, in original condition.